We will work collaboratively with the Design Team to move the creative vision to a detailed, operationally sound plan, which will become the future foodservice operation. Work collaboratively with the Project Team Members to fully understand the project’s objectives, goals and budget. Provide recommendations and options in order to arrive at an agreed-upon concept and project strategy with a clear and executable program. Develop corresponding layouts focusing on menu and optimized flow. Develop preliminary equipment specifications, utility estimates and budget. Create detailed, numbered and scheduled equipment plans, adding equipment cut sheets, auxiliary equipment and engineering drawings. Prepare an itemized budget and provide guidance and solutions to maintain budgetary goals. Prepare detailed utility and special conditions drawings for coordination with the Architectural and Engineering Team. Prepare additional foodservice equipment documentation and complete detailing of plans required for Construction, Bid and Permit. Make plan corrections as needed to assure final permitting. Prepare Bidding Documents and issue foodservice package to qualified Kitchen Equipment Contractors (KEC’s) for competitive bidding - in collaboration with Owner / General Contractor. Review and evaluate KEC bids, interview finalists as needed and assist in negotiations to optimize quality and value. 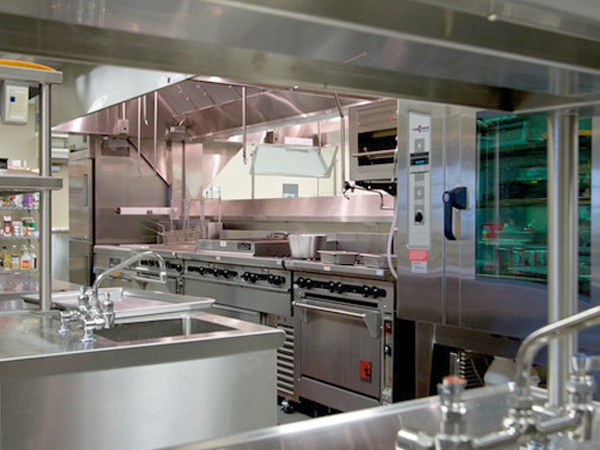 Monitor and oversee Kitchen Equipment Contractor work and kitchen construction aspects in general. Review submittals and provide regularly scheduled site inspections to assure design conformance. Follow through to successful completion of project. Perform regularly scheduled site visits to assure ongoing satisfaction and assist with any follow-up. NGA can also provide ongoing operational support and auditing, equipment asset management assistance and other services when applicable.